How many meters does side a measure? How many meters does side b measure? 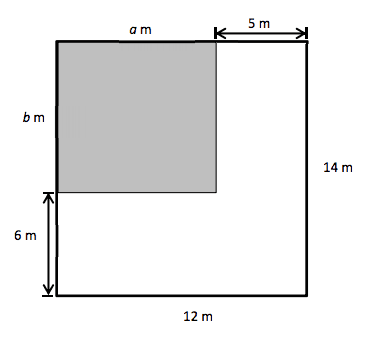 What is the perimeter of the SHADED rectangle? From EngageNY.org of the New York State Education Department. Grade 3 Mathematics Module 7, Topic C, Lesson 17. Internet. Available from https://www.engageny.org/resource/grade-3-mathemat...; accessed 4/Apr/2016.